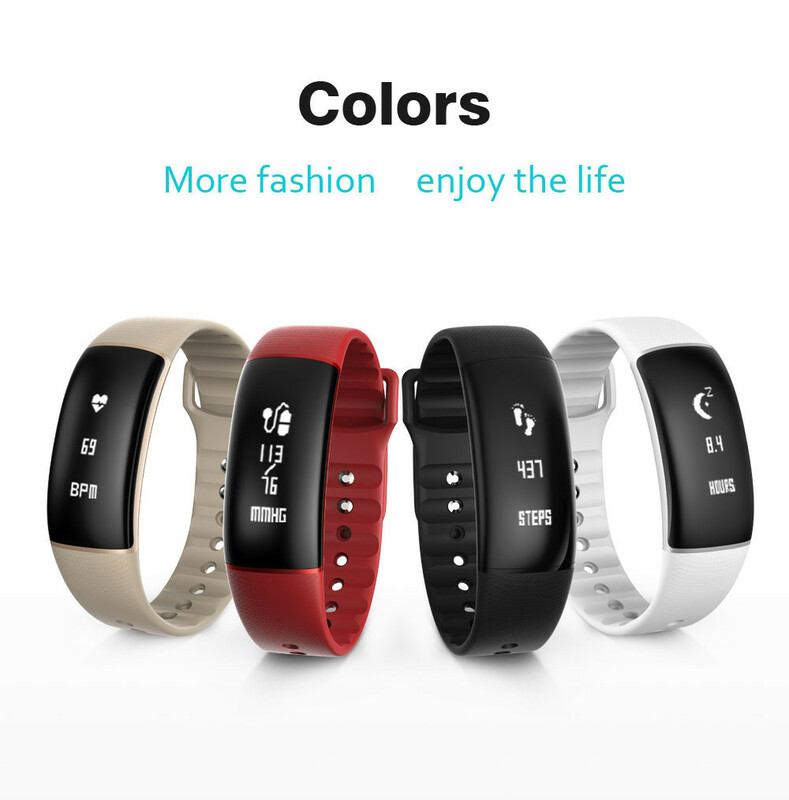 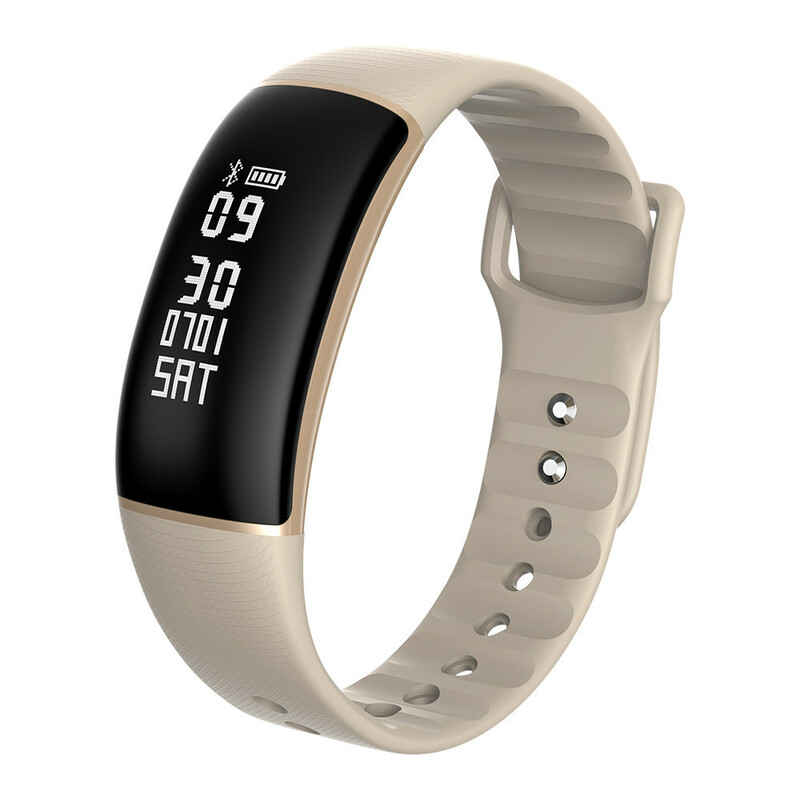 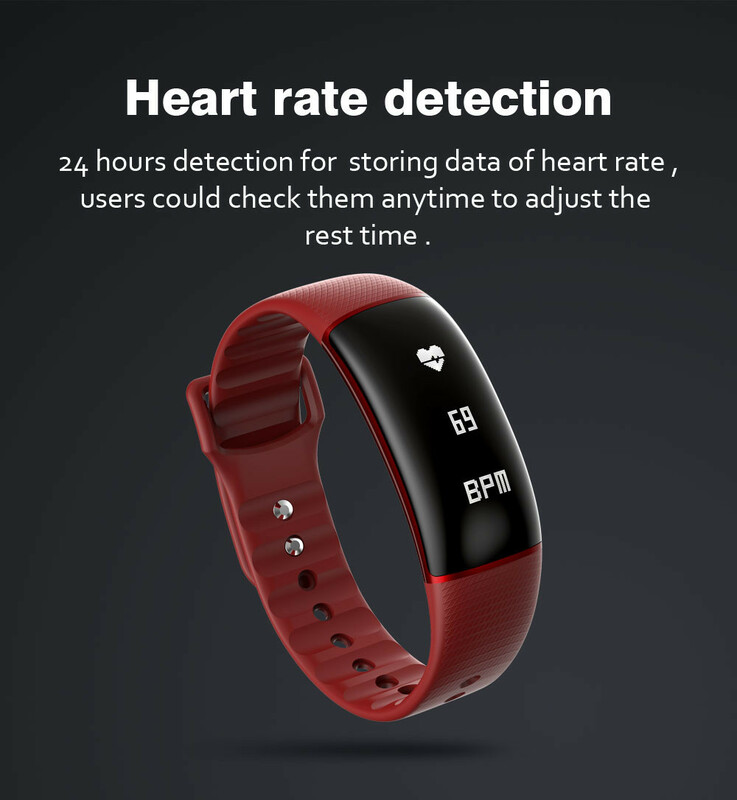 Display Health Parameters:This smart wristband can display the time, date, steps, distance ,calories and heart rate clearly. 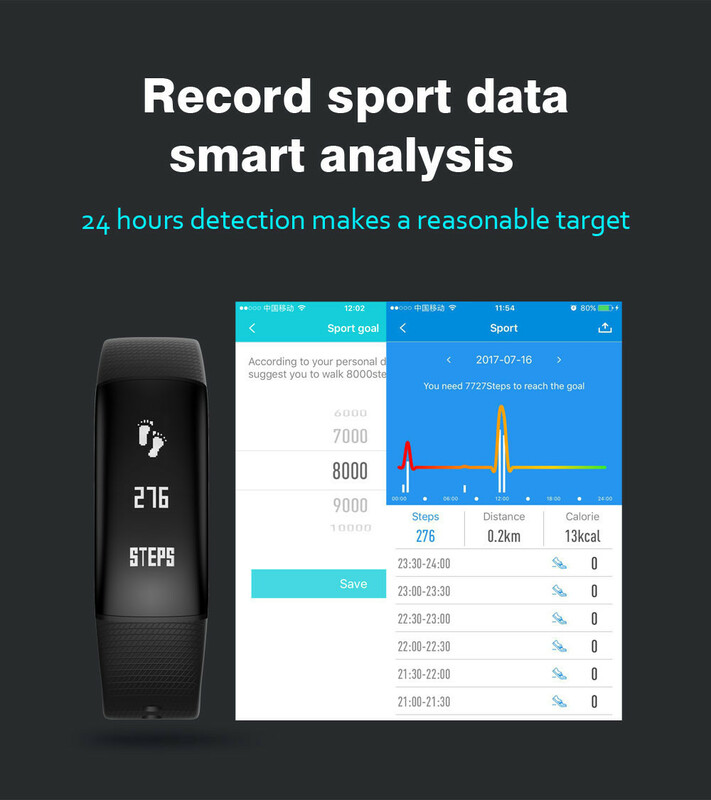 Let you know your sports data immediately! 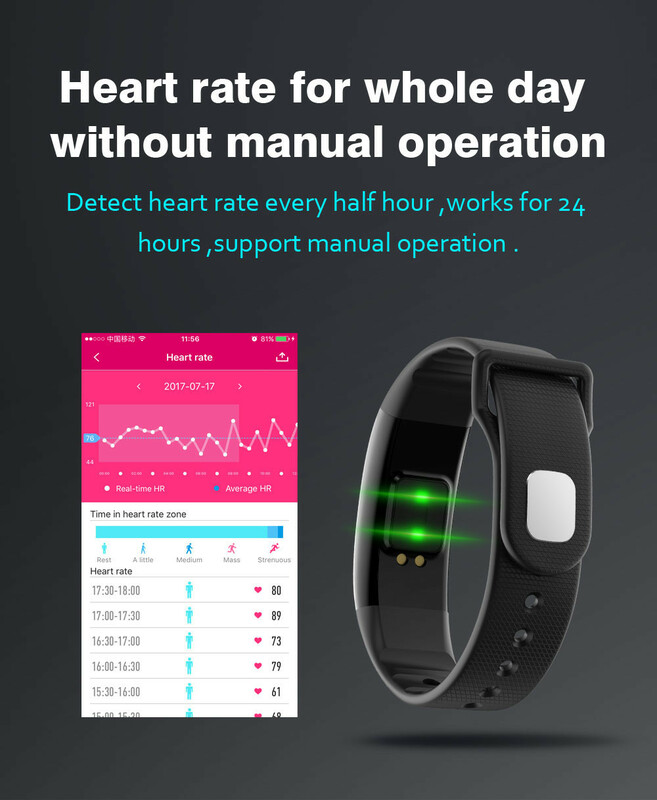 Heart Rate Monitor:It can monitor your heart rate to help you do exercise and adjust your trainning plan scientifically. 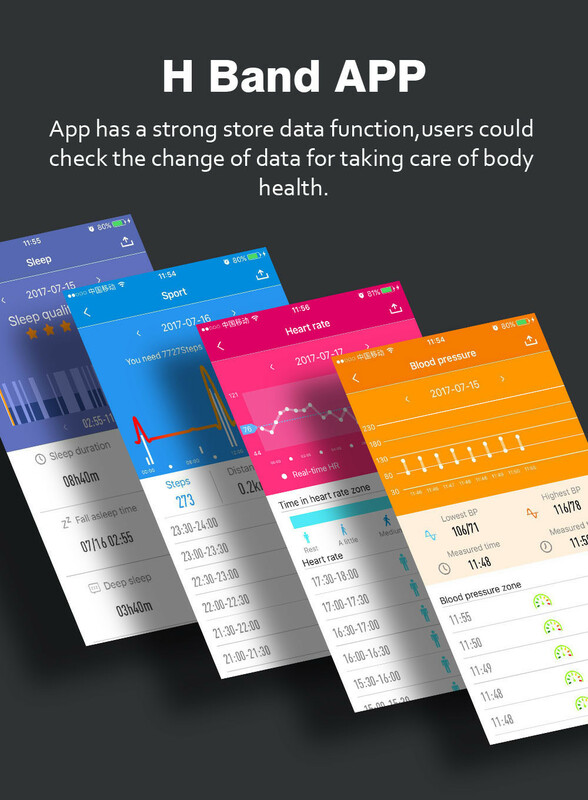 Sleep Monitor:Are you curious about your sleep quality? 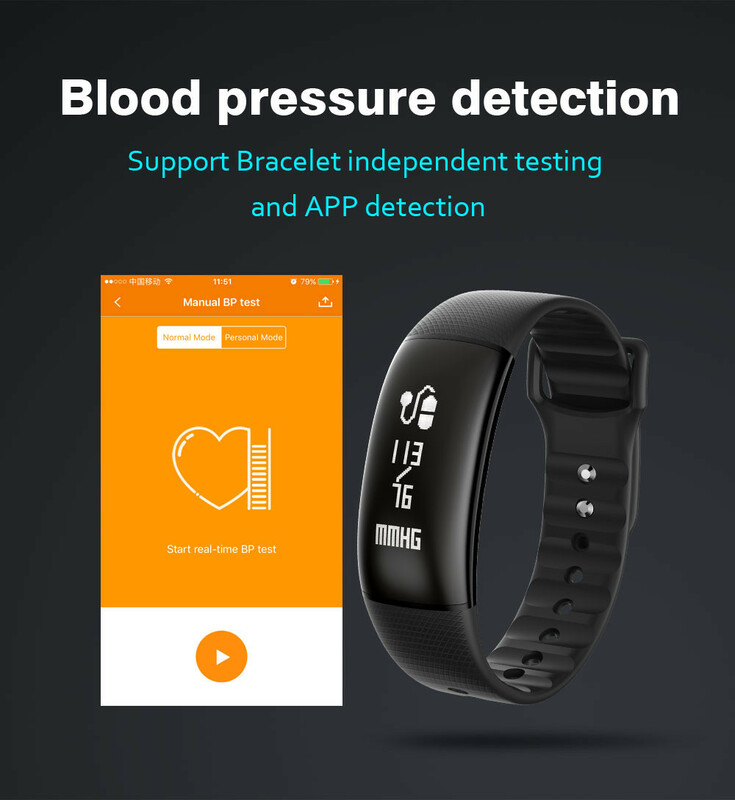 Sleep monitor function will provide you the answer. 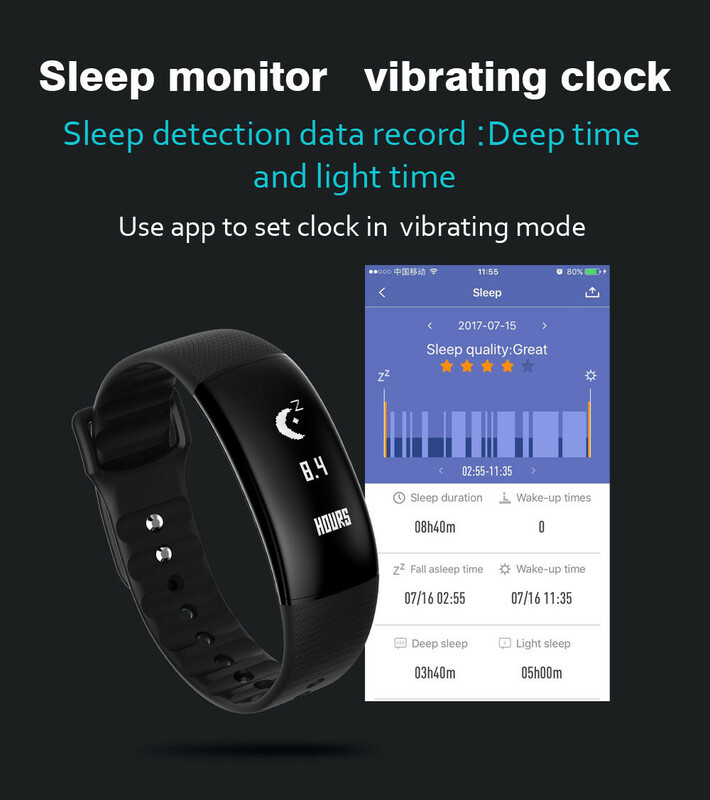 Alarm Clock:Don't be afraid that your alarm would wake up others because this vibration function just wake you up! 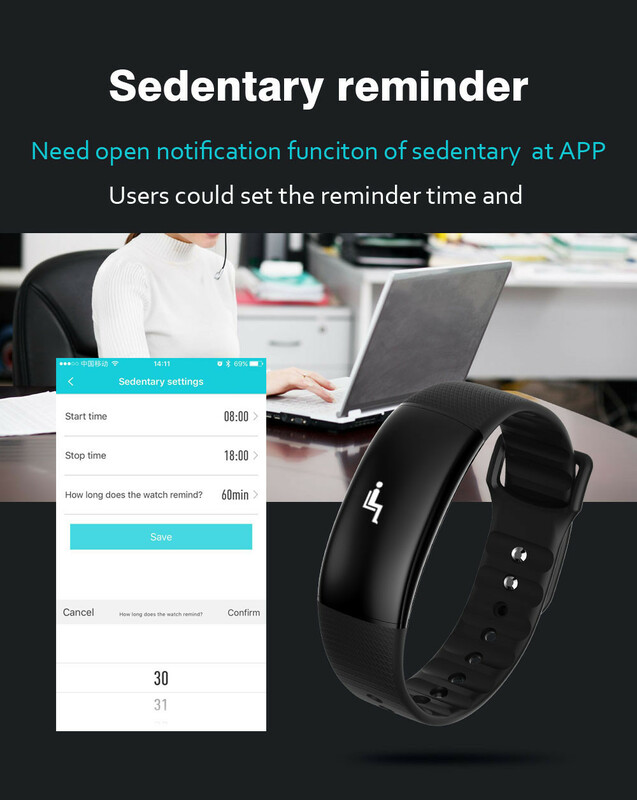 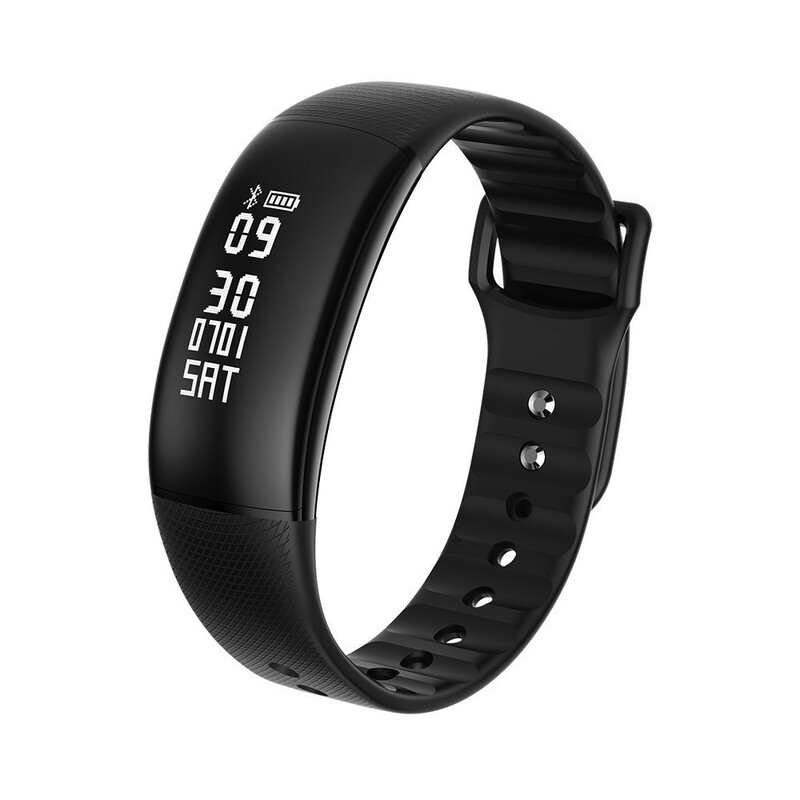 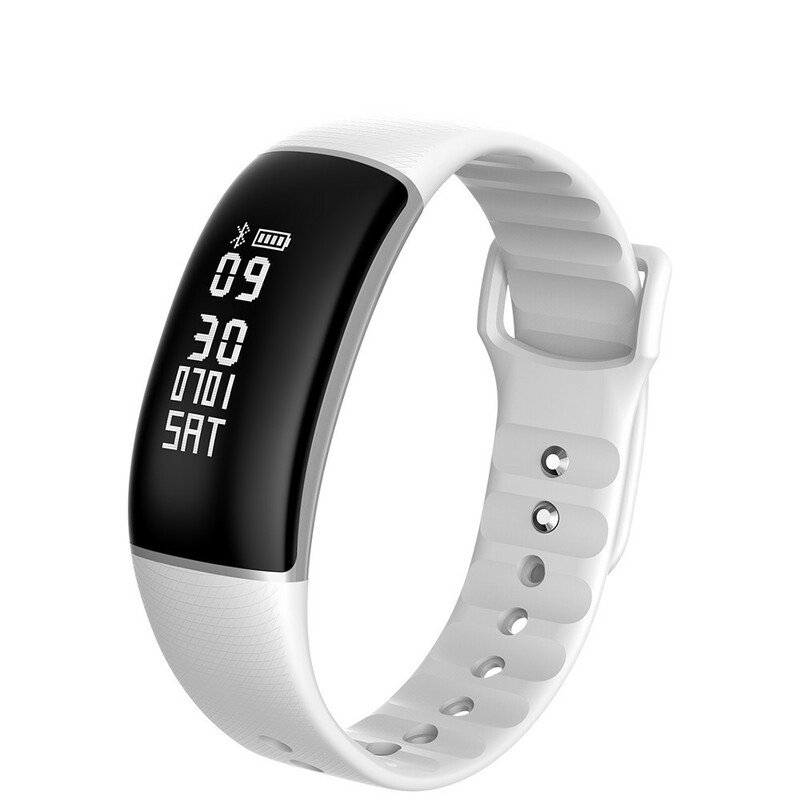 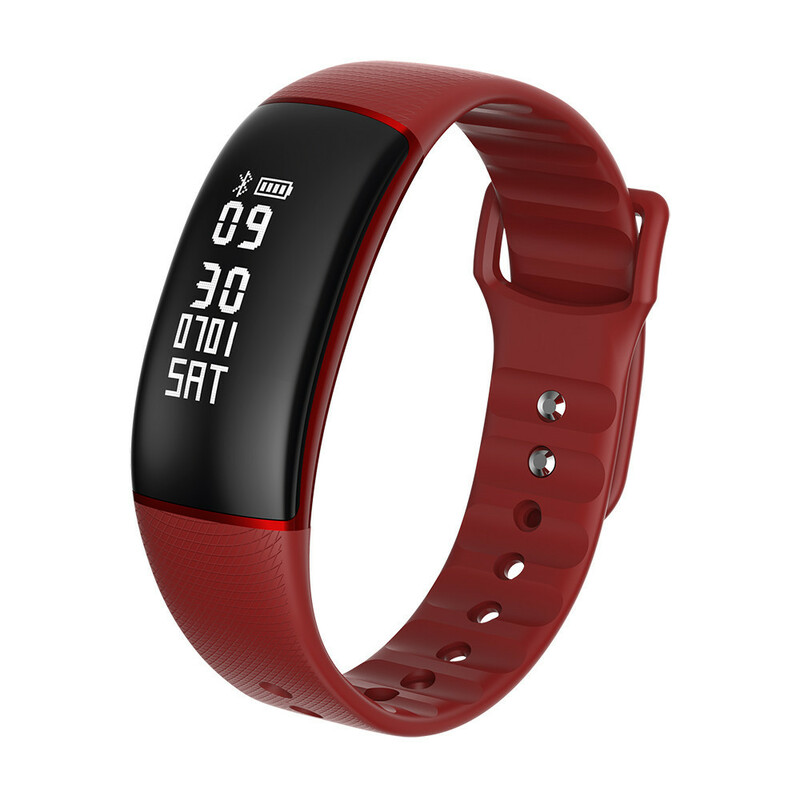 Sedentary Reminder:Bluetooth heart rate wristband will remind users to take timely rest to avoid fatigue to maintain good health according to your working time. 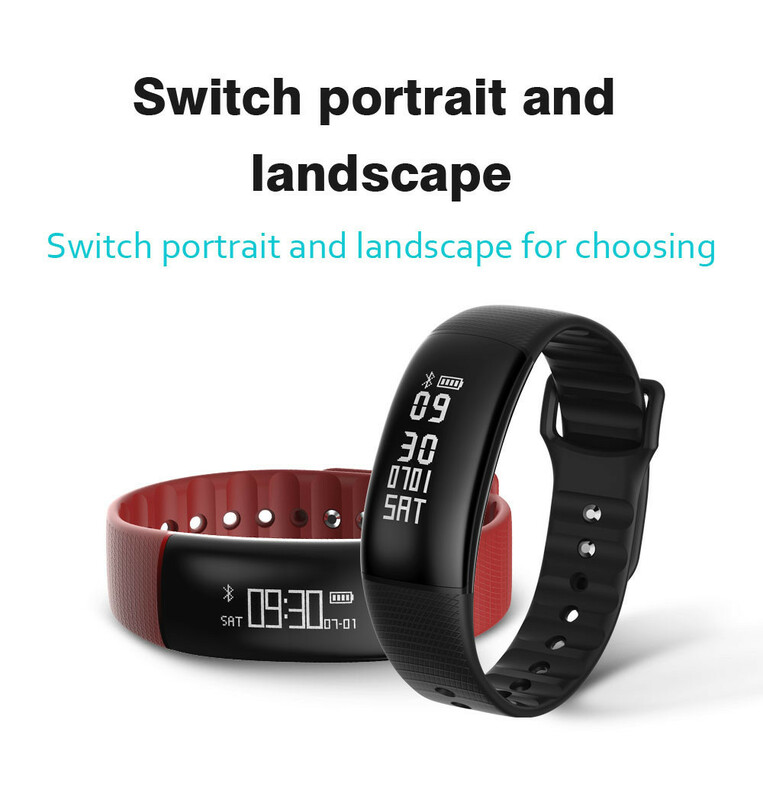 Standard Time and Military Time, Metric Unit and Imperial Unit:You can choose the time format and unit as you like. 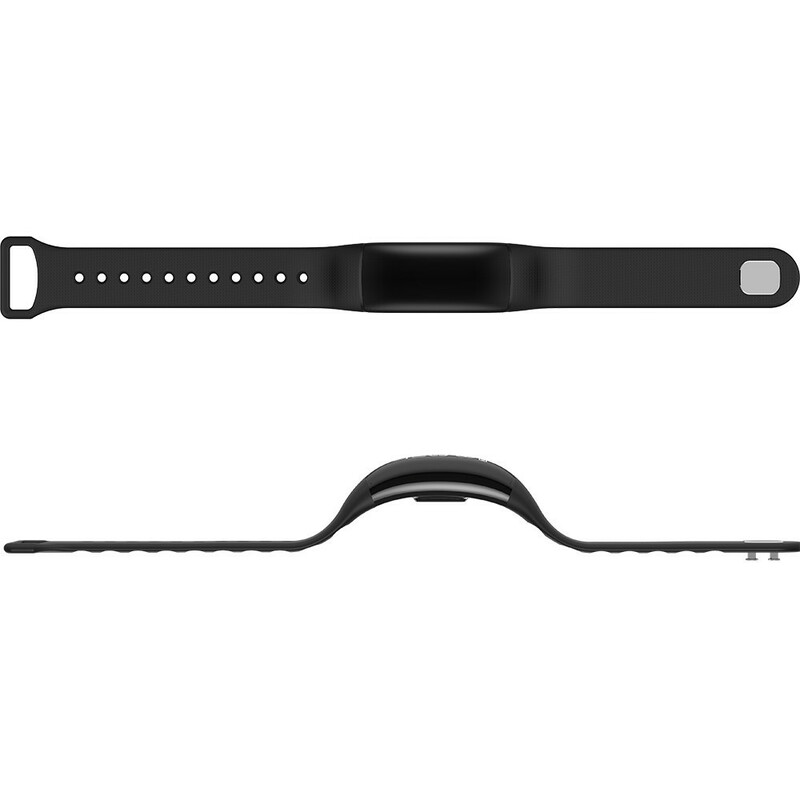 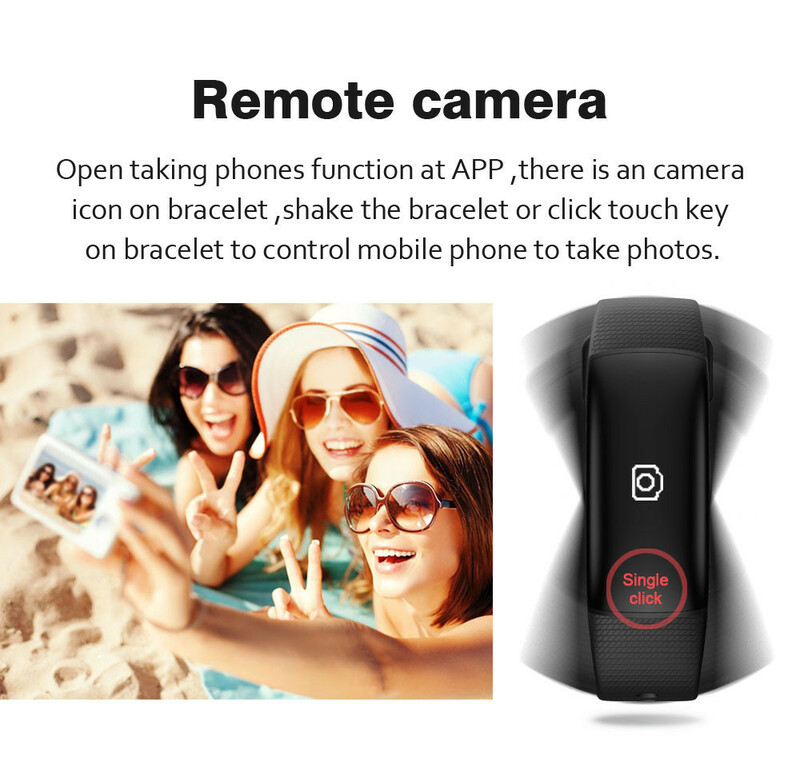 Wake-up gesture:The screen will light when you turn over your wrist. 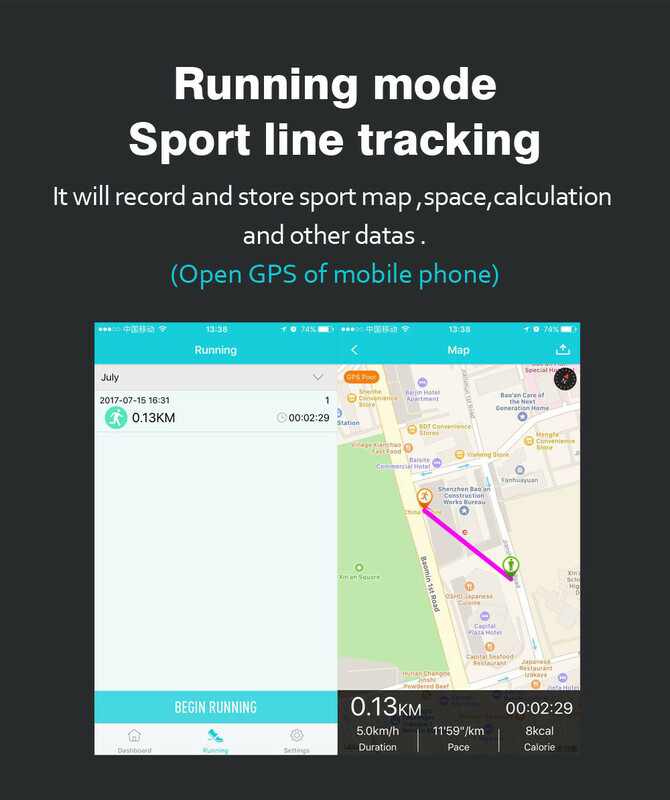 Multi-language:APP language: English, French, German, Spanish, Japanese, Chinese. 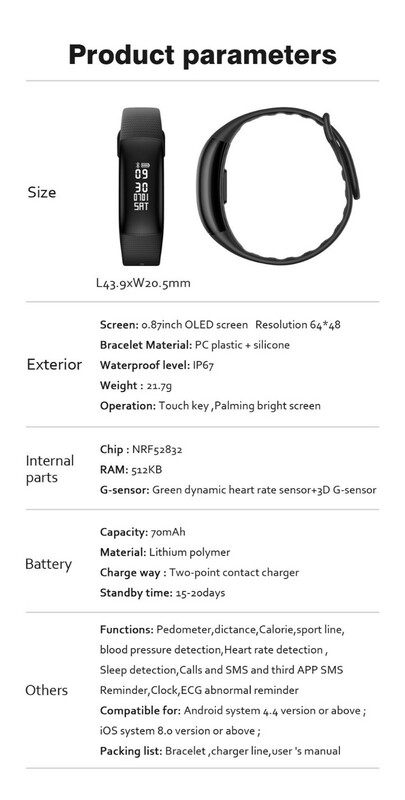 IP65 life waterproof, not for shower and swimming. 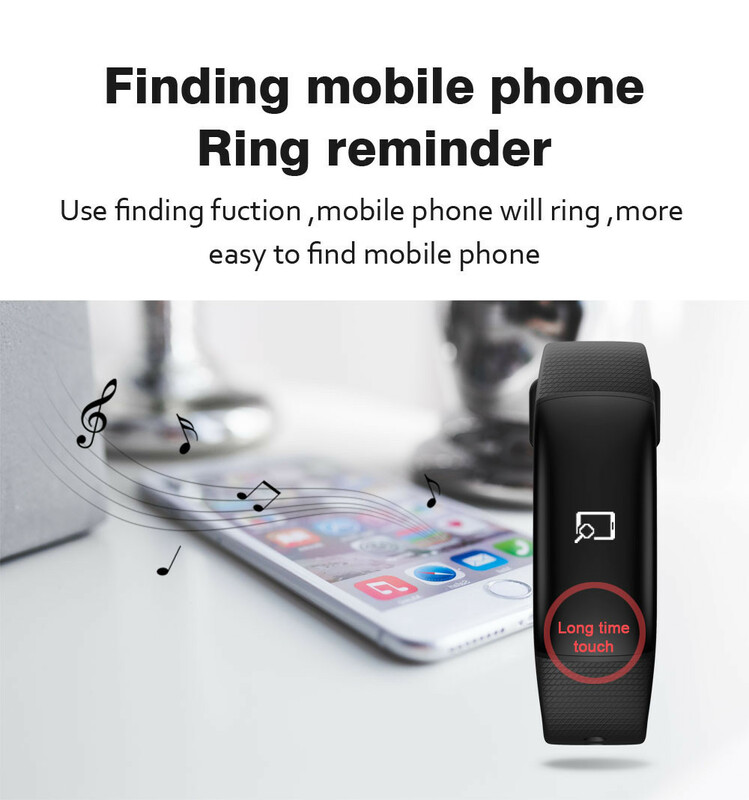 Android phone has SMS reminder, iOS phone does not have this function. 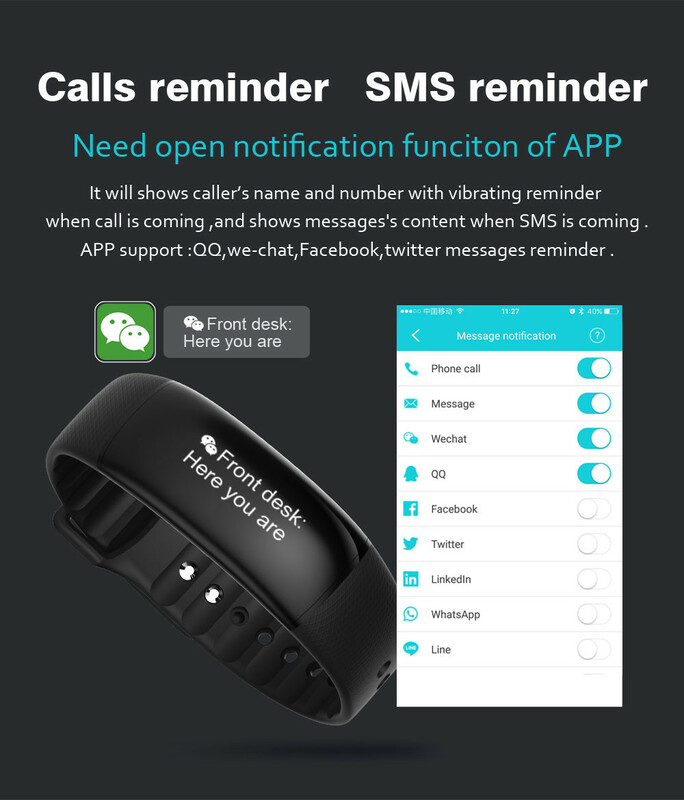 The bracelet will not show incoming name when paired with iphone.